To make a booking with On the Road Again Travel you must be at least eighteen years old and agree to all the terms and conditions as advised in this document. In order to secure a booking you must complete a booking form and pay a deposit as advised. The person completing the booking form warrants that he/she has authority to accept the passage ticket conditions on behalf of all persons named on the booking form. Reservations are subject to the terms, conditions and requirements of carriers, hoteliers and other service providers. We reserve the right to cancel or re-schedule departures or itineraries if necessary. Where it is necessary, On the Road Again Travel may also substitute suppliers with others of at least a similar standard. The booking form within this site is a request only. On the Road Again Travel does not guarantee fares or prices until the booking has been confirmed in writing by one of our consultants, and full payment has been received. Schedules and availability, fare conditions and prices can change at any time. Routing restrictions and other special conditions may apply. Deposits merely hold the reservations and do not guarantee prices. Your Cruise Holidays does not endorse or recommend any particular travel service provider. 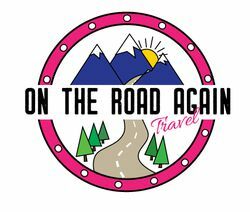 On the Road Again Travel and its third party suppliers have taken reasonable care that the content of this web site, including all travel information and listings is correct but is subject to amendment at any time without notice. On the Road Again Travel publishes such information in good faith and if in doubt you should check with a representative of Your Cruise Holidays to ensure any information displayed is correct at the time of booking. As user you acknowledge and accept that: Your Cruise Holidaysaccepts no responsibility or liability for any failure or delay on the part of any third party in providing travel services to you where your booking has been properly processed by it; nor are we responsible for any acts or omissions of airlines or other third parties in the course of delivery of such travel services. Under no circumstances will we be liable for direct, indirect, consequential or incidental damages including but not limited to lost profits or savings or damages for disappointment. Where amendment of a booking is permitted by the travel supplier, a charge of up to $100 per person is payable to On the Road Again Travel for each permitted amendment, plus the individual suppliers fee. Passport, Visa and Health requirements are the responsibility of individual travellers. Passports are required for all travellers departing Australia. Permanent residents travelling on a foreign passport must hold an Australian Re-entry Visa. Many countries require that foreign nationals entering hold a passport with at least six months validity. The final responsibility for ensuring documentation is correct is that of the individual traveller. Any fines, penalties, payments or expenditures incurred as a result of such documents not meeting the requirements of those authorities will be your sole responsibility. On the Road Again Travel will not be held responsible for tickets lost by a third party, such as Australia Post. Any charges associated with reissue and resending of documentation will be a client expense. On the Road Again Travel shall be responsible to the passenger for supplying holiday arrangements described throughout this website. Holiday arrangements include but are not limited to accommodation, flights, cruises, tours and transfers. These services are provided by reputable suppliers on their own conditions. Therefore it should be noted all bookings with us are subject to the terms and conditions and limitations of liability imposed by the supplier. We accept no responsibility if you, the passenger, is refused entry to the intended country/countries visited. We will not be responsible for any expenses, costs, liabilities or loss in relation to such. We do not guarantee any specific flight schedule and do not accept liability for lack of adequate connections, delays or airline schedule changes. By making a booking with On the Road Again Travel you accept these terms and conditions.